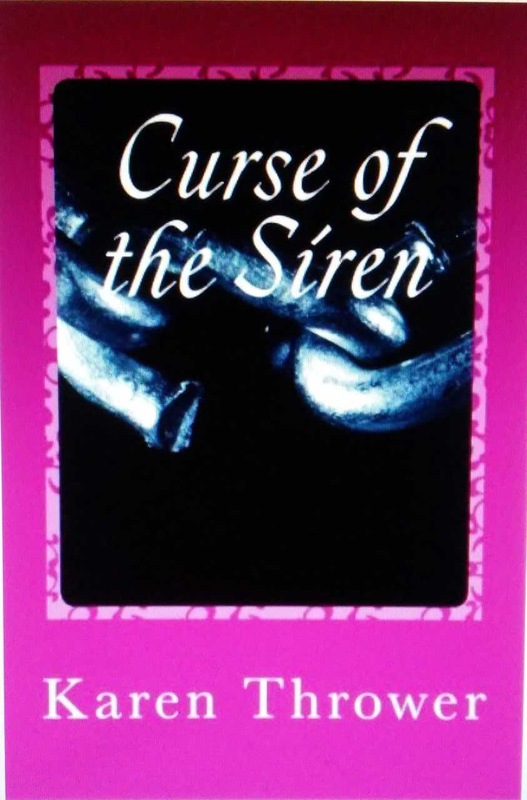 It is a pleasure to welcome Karen Thrower author of Curse of the Siren and the upcoming release Demons Within. Welcome Karen to The Adventures of the Everyday Fangirl and thanks so much for taking the time out your busy schedule to help us get to know you and your latest story better! Demons Within was originally going to be part of an anthology where all the stories take place in Oklahoma, since all the writers that would have been contributing are from Oklahoma. The anthology never took off, but my story did. I wanted to write a western, and being from Oklahoma I had lots of things to inspire me, including real live people. The three main characters are real people. James Masterson, is brother to famous lawman Bat Masterson (who had a TV series of his exploits!) Rose of the Cimarron and her boyfriend George ‘Bittercreak’ Newcomb were notorious robbers. So these were real people and it was a lot of fun researching them. Being from Oklahoma I was inundated with western culture and history growing up. It’s something that comes naturally to me and I wanted to write a story that would re-introduce these lesser known characters of history. I think what was different about the research for this story was it was mainly looking up the exploits of real people and places. Logan county Oklahoma was where the first capital of Oklahoma was (Guthrie) and where the story takes places. It was very interesting seeing how much the city has changed since 1890. I knew about Bat Masterson, but he had two other brothers who were also Federal Marshalls, James and Ed. I read about James dying in Guthrie Ok, and I started wondering if I could give him a more glorious death than tuberculous at age 39. He was famous for the Battle of Ingalls, which George Newcomb participated in and its said his girlfriend Rose helped save his life afterwards. If they encountered each other once, it could happen again and this time, things would be much different. Almost anything makes me laugh but what always gets a giggle out of me is my four-year-old laughing. It’s so infectious it’s hard not to be happy while hearing it. Seeing others in pain, especially pain that could have been avoided. I am a fan of demon lore and I always wanted to really dig in and find a demon to write about. I found two that seemed to work well with the story I wanted to convey, Basmu and Naberious. They’re real demons you can look up and read about! When will this story be available? Demons Within will be appearing in the January 2018 edition of Broadswords and Blasters and I would be tickled if you would order a copy! They will have four issues out by this time so don’t be afraid to get them all. They have exceptional cover art and wonderful stories! Find out more at https://broadswordsandblasters.com. Where can we find out more about your other stories? You can keep up with up me via my author pages on Amazon.com or Goodreads. I have some books on Amazon, paperback or Kindle including a five-book romance/fantasy series and an urban fantasy one shot, Curse Siren Rekindled, but I might write more for those characters one day. Thanks again Karen for stopping by today, I really appreciate it!